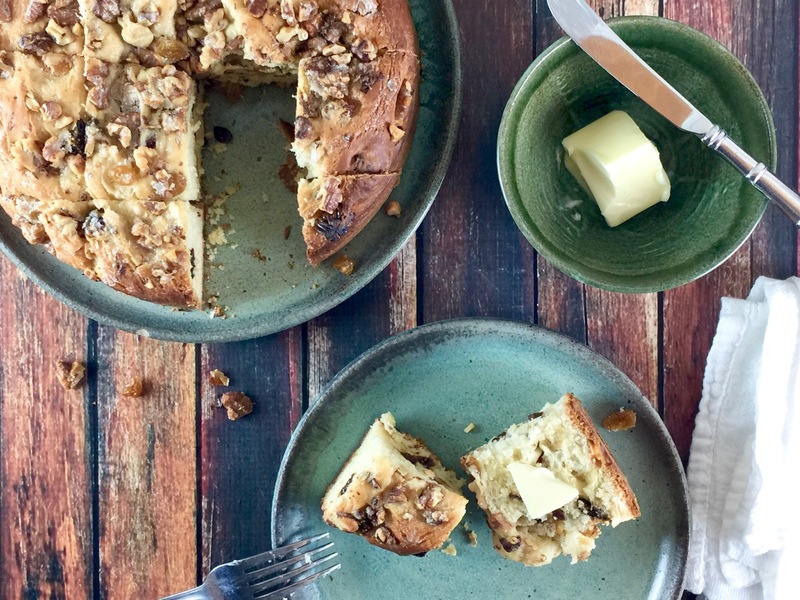 Most coffee cake recipes are too sweet, but this one is a cross between a yeast bread and candied cake, and the result was a whole lot of happiness. 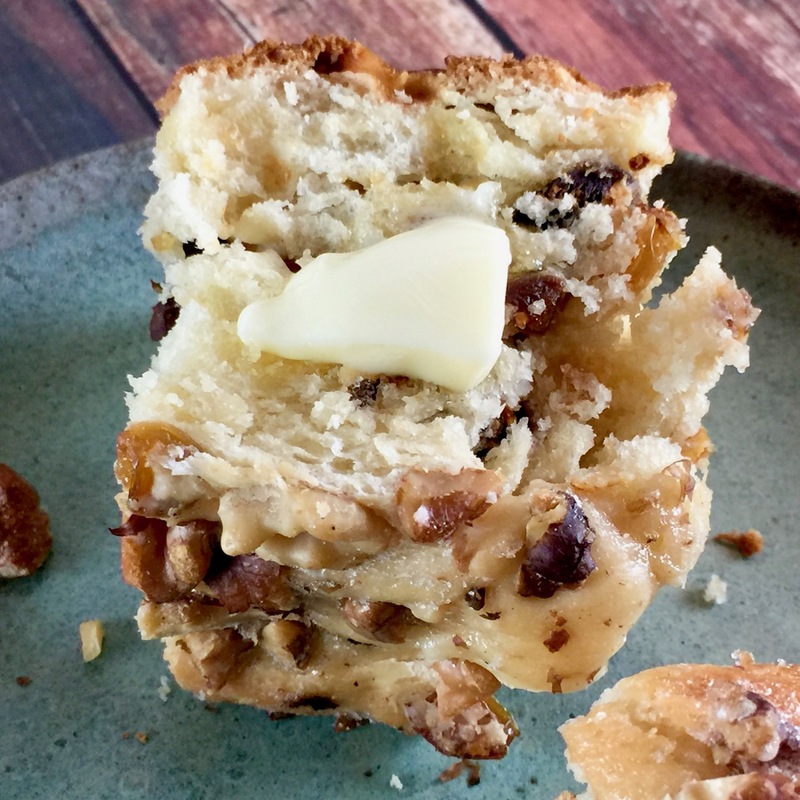 There’s just enough sweetness, accented by golden raisins and Calimyrna figs (which are milder in flavor than dates), with a lovely toasted nuttiness from the chopped walnuts. It tastes even better the next day, and was perfect with a warm slab of salted butter and hot cup of coffee. I’m telling you — it was made for your Amish Friendship Bread starter. It’s super easy to put together, but you have to leave time for the dough to rise. I borrowed my cousin’s Kitchen Aid stand mixer (which I am now seriously in love with — you can find them starting at $199 on Amazon). I have no problem mixing and kneading dough by hand, but I’ll admit that it made dough-handling a zillion times easier. If you have a bread machine, that works great, too. Just set it on the “dough” setting and let it go to town. After you mix and knead the dough, let it rise in a covered bowl for an hour. Mine only rose a little bit, but that’s okay–it more than made up for it in the oven. Next, deflate the dough and knead the fruit and nuts into it. Place it into a lightly greased 9″ round cake pan, cover with oiled plastic wrap and let it rise for another hour (or until it fills the pan to the sides and top). Preheat the oven to 350° F (177° C). Mix the glaze: sugar, vanilla and water, then drizzle over the top. Bake for 50-60 minutes, tenting the cake pan with foil for the last 10-20 minutes so it doesn’t brown too quickly. When a toothpick comes out clean, remove the coffee cake from the oven and let rest for 5 minutes. Turn onto a rack to cool completely. Slice and serve at room temperature. 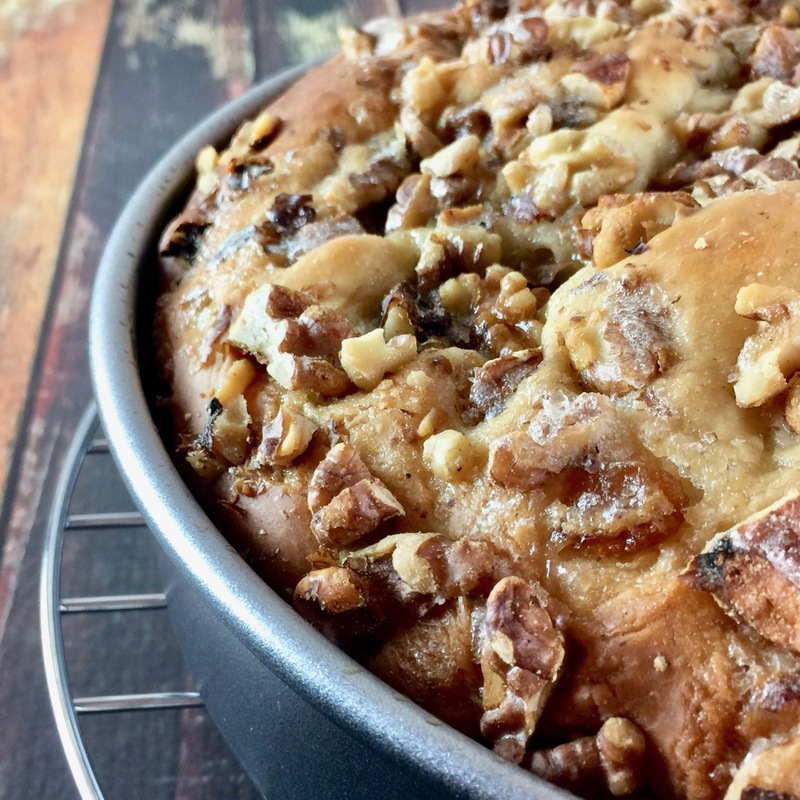 A cross between a yeast bread and candied cake, you'll love this Tuscan-inspired Amish Friendship Bread Coffee Cake recipe which packs just enough sweetness with golden raisins and Calimyrna figs and topped with toasted walnuts. Mix starter, water, flour, butter, egg, sugar, yeast and salt. The dough will be slack but continue mixing and kneading until a smooth, supple dough is formed. Place the dough in a bowl and cover. Let the dough rise for one hour. 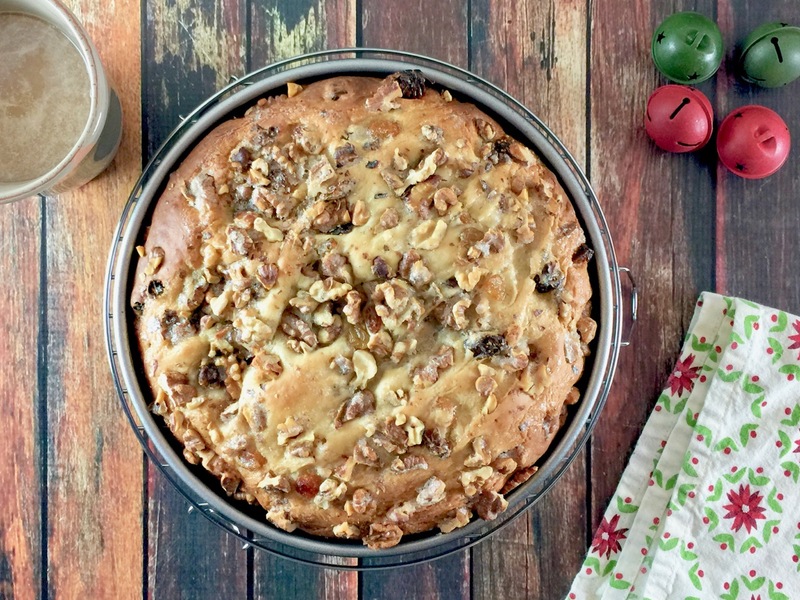 Gently punch down the dough and knead in the dried fruit and nuts. Shape dough into a flat ball. In a lightly greased 9" round pan, place the dough in the center of the pan. Cover with oiled plastic wrap and let rise for one hour, or until the dough fills the sides and top of the cake pan. In the last ten minutes of rise time, preheat the oven to 350° F (177° C). Make the glaze and drizzle over the top of the dough. Bake on a lower rack for 50-60 minutes, tenting the top with foil for the last 15-20 minutes to prevent over-browning. Remove pan from oven and let rest for five minutes, then turn onto a rack to cool. Slice the coffee cake once it has cooled completely.